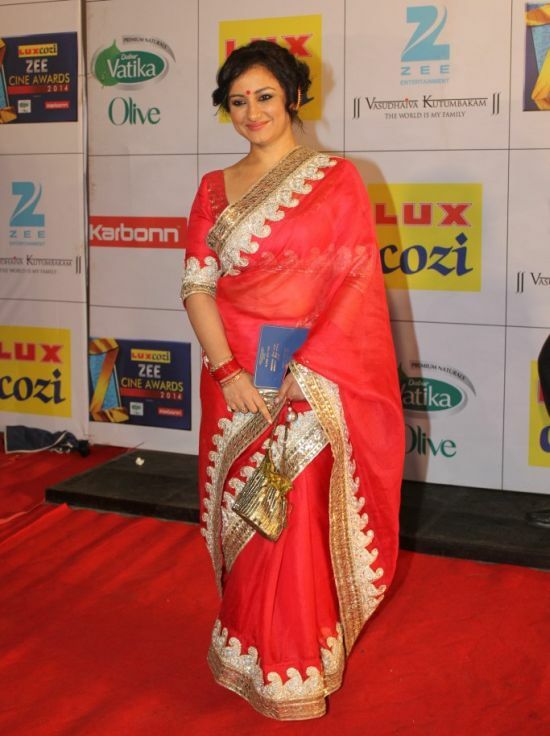 All roads led to Reliance Studios, Goregaon Film City on the evening of Saturday, 8th February as the most eagerly awaited awards night – Lux Cozi Zee Cine Awards 2014 laid out its red carpet for the most glamorous Bollywood stars to arrive and walk in their inimitable style. The side-splitting gags and spoofs by the witty celebrity hosts Abhishek Bachchan and Riteish Deshmukh, scintillating performances by the hot-steppers of B-town and hard-earned recognition to the most deserving performers of 2013 voted and selected by viewers worldwide made this evening a truly memorable one! The red carpet masti began with the dynamic duo RJ Malishka and actor Rithvik Dhajani having lively interactions with the celebrities arriving for the awards ceremony. Bollywood biggies who dazzled at the red carpet were Shah Rukh Khan, Deepika Padukone, Ranveer Singh, Priyanka Chopra, Akshay Kumar, Farhan Akhtar, Sonakshi Sinha,Rakeysh Om Prakash Mehra, Shreya Ghosal, Honey Singh, Chetan Bhagat, Farah Khan, Ayan mukherjee, Sonali Bendre, Vidyut Jamwal, Remo D’souza, Vivek Oberoi, Genelia D’Souza, Shabana Azmi and Javed Akhtar, Fardeen Khan, Supriya Pathak, Nikhil Dwivedi and more dazzled at the red carpet. Sonakshi Sinha looked ravishing in a Gauri and Nainika gown on the red carpet. Just like Deepika who wore a pearl mathapatti to complement her Fall 2013 Naeem Khan gown, Sonakshi too wore a spiked golden headband by Manish Arora to complete her look. So, head gear clearly ruled the fasion roost. Vani Kapoor opted for the Shudh Desi look and dazzled the shutterbugs in a Varun Bahl saree. While Genelia wore a blue Rohit Bal designed anarkali, Priyanka Chopra kept it sober and simple in a traditional paper silk saree with gold sequins but it was her sparkling new Rolls Royce that sent the paparazzi into a tizzy. Catch all the action and power packed performances at 8 PM on 23 February 2014 on Zee TV, Zee Anmol and Zee Tamizh.